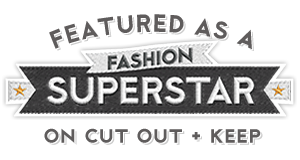 When we think of fashion pieces with an animal focus, tiger, elephant, horse and zebra printed clothing may spring to mind (examples here). 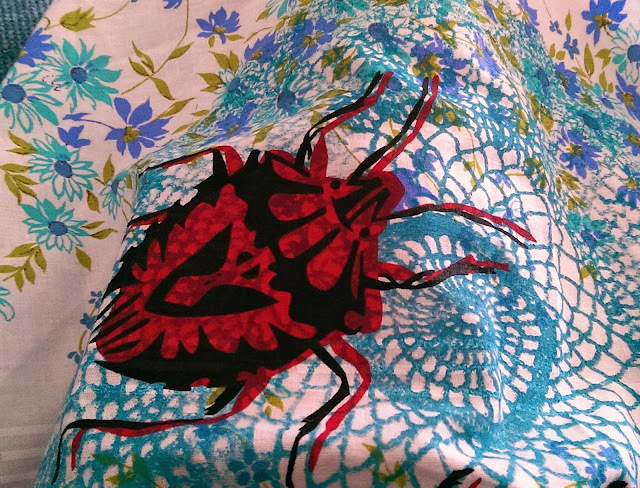 Insects, Mother Nature's smaller critters, may not be the cutest of animal species but are beautiful in their own right and look marvelous printed on fabric. 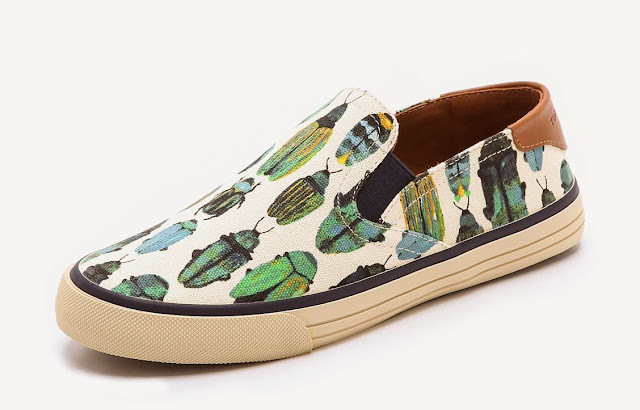 The following bug printed fashion pieces prove that insect printed fashion must not be overlooked. I'm rather fond of a creepy crawly, particularly the iridescent colour of a beetle. Some particularly appealing clothing pieces popped up in my instagram newsfeed, made by independent crafter Bec under her clothing line and blog name LittleBrownDog. Bec, being a fellow upcycler, screen prints bugs and other unique images onto vintage fabrics. Readers do you consider bug printed fashion to be 'insect chic', or do creepy crawly prints give you the heebie jeebies? I've always had a thing for spiders. Earlier this year Bulgari (I think) came out with a collection of insect themed jewelry which I loved. I saw a brooch in an ad once that was a jewel encrusted fly. 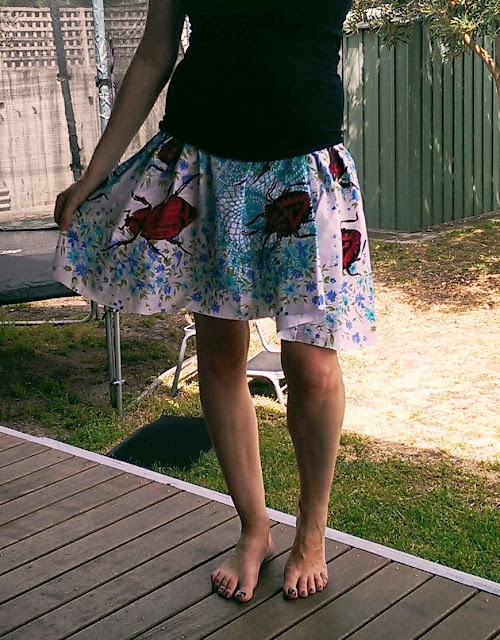 Not the same as a skirt of course but I like the idea of taking something that people normally find ugly and making it beautiful and interesting. 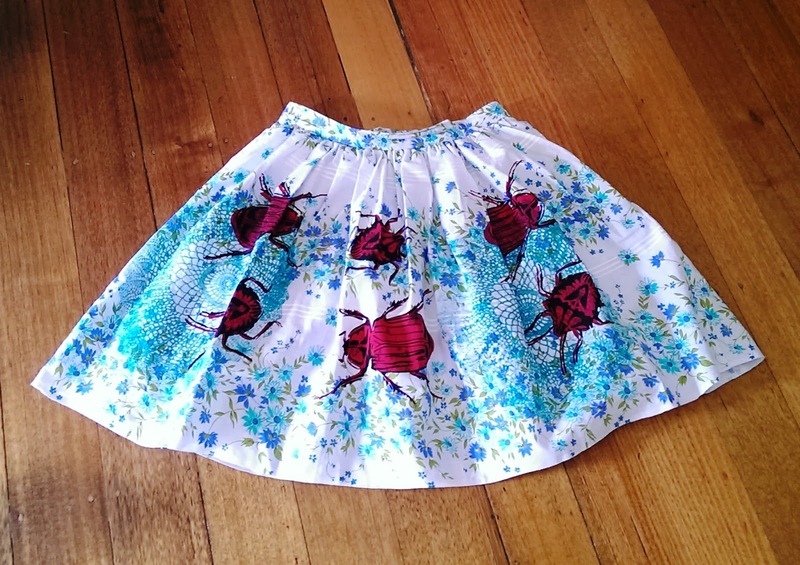 Thank you so much for adding my skirt to this list of beautiful bug things. 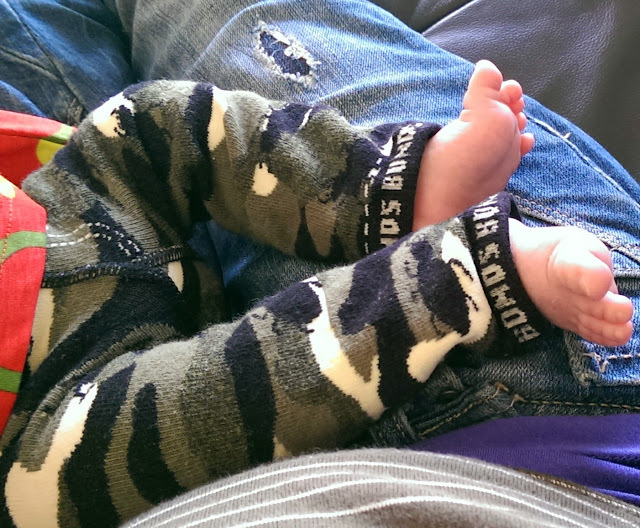 I am working on the questionaire between baby naps and all the other day to day bizzo (I'm not so good answering questions about myself but I'll get there soon).